Wondering how a donation could be used to help support our work with coffee farmers in Guatemala? Access to credit is an important piece as farmers try to rise out of poverty and provide for their families and communities. 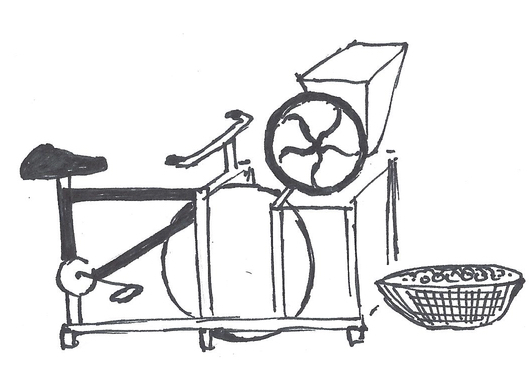 The bici-pulpero is an amazing piece of machinery that fuses a bicycle and a de-pulper, relying on manpower to remove the coffee seed from the fruit at an astounding rate of 500 pounds an hour! Many poor farmers, unfortunately, still do this process by hand, which is excruciating and time consuming work. Without access to de-pulping equipment coffee is at risk of losing quality and spoiling, as it needs to be de-pulped within 24 hours after it is harvested. A donation of $1,000 would be an amazing gift to add to our micro-financing loan fund. Bici-pulperos are often shared between family members and fellow members of the cooperatives, so this small gift could create a large impact in coffee farming families and communities. Our mission: De la Gente works with coffee farmers to create economic opportunity that improves the quality of life for their families and communities. The acquisition of land is essential to improving the quality of life of individual farmers. De la Gente proudly works with cooperatives to provide low interest loans to farmers looking to expand their coffee production by purchasing land in the community. In many developing countries, such as Guatemala, is is difficult to receive loans from banks. Loans provided come with an intimidatingly high rate of interest, which either discourages people from applying or prevents them from paying off debt. De la Gente wants to see growth in families and communities and make credit more accessible for typically marginalized smallholder farmers. A donation of $500 to De la Gente will provide the funding necessary to offer land loans to farmers with aspirations to grow more coffee and food. With the help of donors, we work with farmers to ensure fair repayment schedules and little to no interest rates. This program has been extremely successful. Please click here to read another blog post about one of our San Miguel Escobar farmers who benefited greatly from this program. De la Gente is proud to promote a train-the-trainer model. Our lead instructor, Timoteo Minas, is a coffee farmer and president of the San Miguel Escobar cooperative. His interest and knowledge in coffee is astounding and continues to impress those he meets. A $100 donation will allow him to provide in-field trainings on sound agricultural practices, processing, and disease prevention and mitigation to communities that are new to De la Gente who have never exported coffee to the specialty coffee market. Agricultural education is keystone in our plan to build capacity in farming communities and break the cycle of poverty. A key piece of our work at De la Gente is providing a quality product for our roasters and consumers. To continue to ensure the highest quality coffee possible, we often send green coffee samples to ANACAFE (National Association of Coffee), Guatemala’s national coffee association, for feedback to improve growing and processing methods. Producers can detect errors early and correct them before they become systemic. You keep a historical record of development during harvest or quality over the years. Better understand the characteristics of the coffee produced on farms. Maximize the classification of produced coffee cup level features. Ensure product quality before being sold. 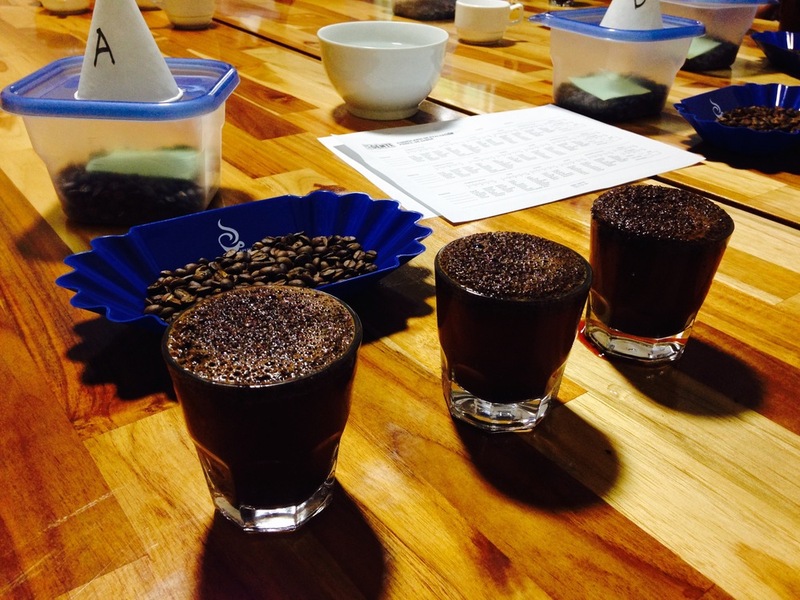 A donation of just $50 will provide this analysis at ANACAFE so that producers can know where their coffee stands to continue improving their product. That’s over 1,000 plants! As De la Gente continues to provide training for farmers, and as farmers continue to combat coffee leaf rust, we are all encouraged to treat with the best and safest products. Worker and environmental safety are two key concerns for us here at De la Gente, and with an application of organic foliar nutrients, plants can grow stronger, healthier, and more resistant to diseases and insects. Research shows that organic farms here in Guatemala are continuing to succeed despite the outbreak of coffee leaf rust in the region, but not without proper investment. We are working closely with local organic farms to study what they do to try to prevent the need for harmful chemicals. Will you help? $20 – Provides 50 New Coffee Seedlings to Replace Those Lost to Roya (Coffee Leaf Rust) or Other Pests. The coffee farming industry in Guatemala is going through turbulent times - faced with the impact of coffee leaf rust (la roya) a wind-borne fungus, which has swept across Central America. The crisis is so serious that the government has declared the disease a 'national emergency,’ and it continues to capture international headlines. The fungus kills coffee plants, and thus leaves farmers with no berries to harvest. Low-income coffee farming communities that cannot afford to protect their crops, have been devastated by the disease - some losing up to 90% of their coffee plants. With such high losses over the last couple of years, it has been difficult for smallholder producers to recover. Just $20 can help provide 50 new seedlings to the farmers to replace the ones lost to this devastating disease. These plants take around 4-5 years to start producing coffee, so replacing as soon as possible is essential. Read more on combatting the Roya on our website. * The descriptions given by each donation are representative of what that amount can fund. However, unless specified, all donations may be used at the discretion of De la Gente based on projects at that time. Newer PostSpecial Holiday Deals Available in our Online Shop!